Begin by punching out all pieces. 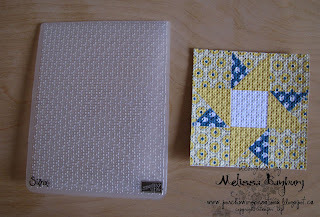 Then using a glue stick, apply glue to each piece and adhere to a used dryer sheet. 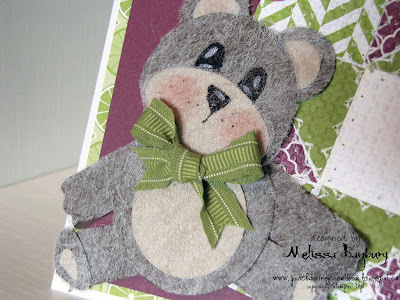 Carefully cut out each piece and assemble the bear with Tombow liquid glue. Once dry, add eyes and nose with Basic Black marker and highlight with white gel pen. 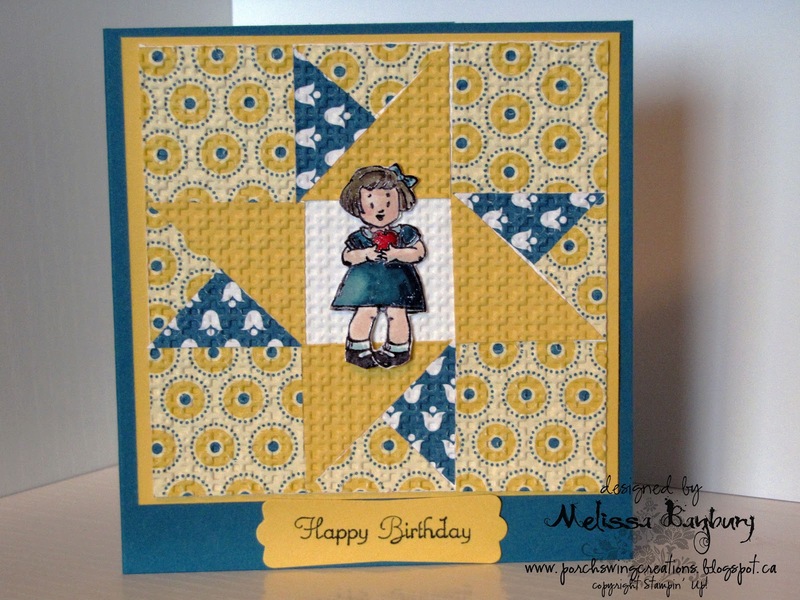 Add cheeks with Rose Red ink and sponge dauber. Finish off by adding a bow onto the neck of the bear. Cut a base piece of cardstock 3 3/4" x 3 3/4". 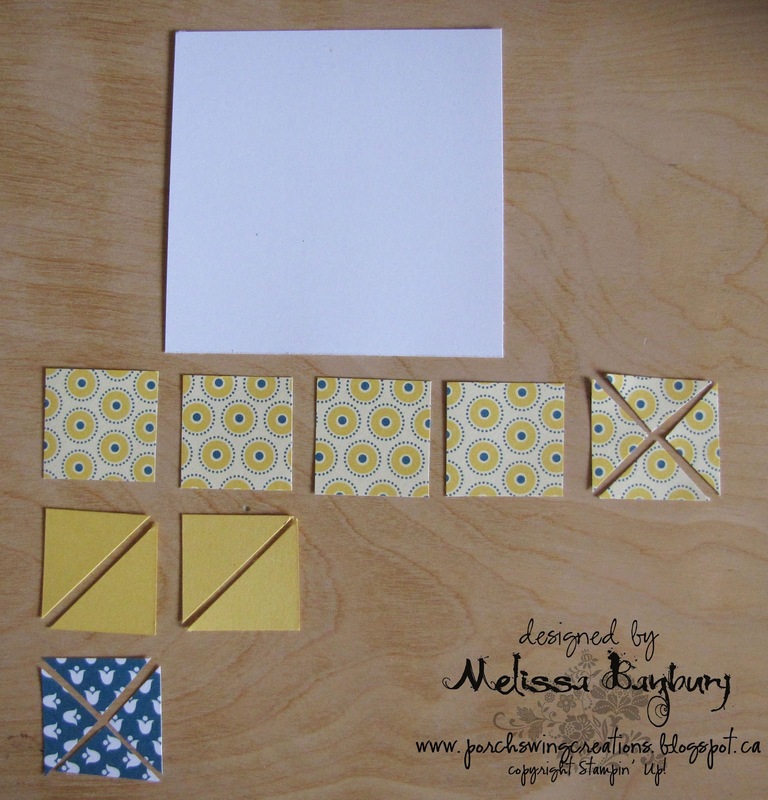 Pattern #1 - cut 5 pieces; cut one piece in half diagonally, then those 2 pieces in half again. 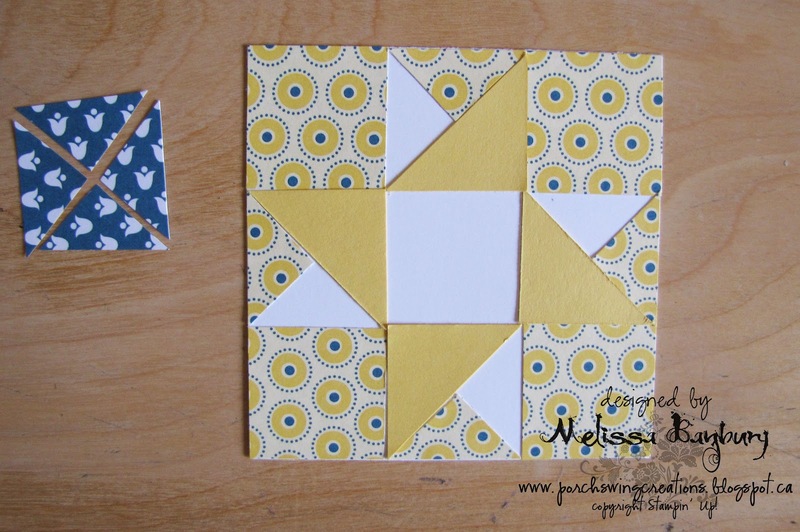 Pattern #2 - cut 2 pieces; cut both pieces in half diagonally. 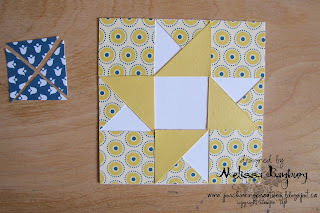 Pattern #3 - cut 1 piece; cut in half diagonally, then those 2 pieces in half again. Glue Pattern #1 down first; the full squares in each corner and the quarters in between each full square along the edge of your base cardstock. 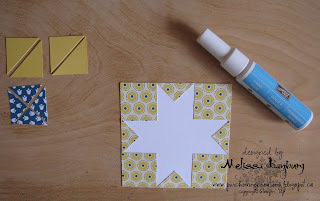 Glue Pattern #2 pieces as shown above. 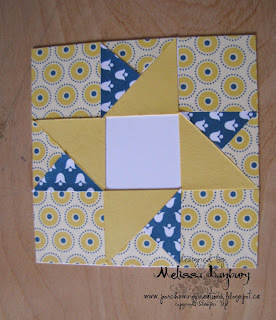 Glue Pattern #3 pieces as shown above. 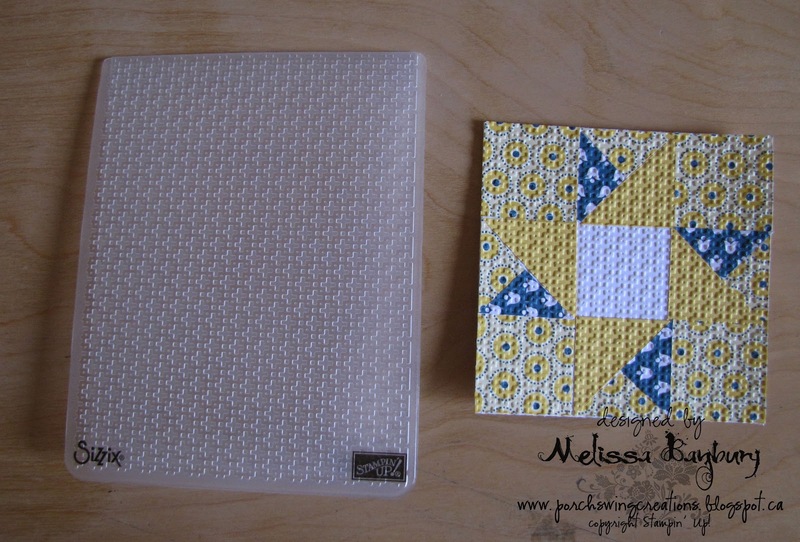 At this point you could add faux stitching with your paper piercing mat pack, piercing tool, and white gel pen to give it further detail. 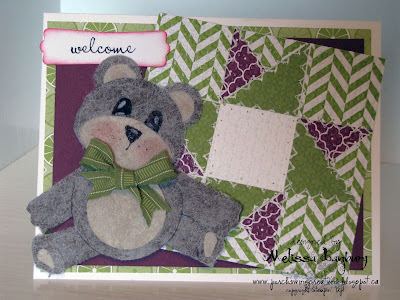 My first example in the teddy bear card uses this technique. To complete the Faux Quilt, choose an embossing folder and run it through your Big Shot machine. 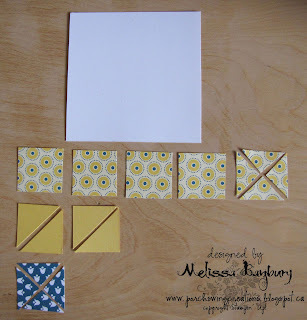 In this case, the Square Lattice embossing folder was used.